The UC San Diego inventors of the licensed technology are Professor Alexander Vardy from the Jacobs School of Engineering and Professor Ido Tal (currently at the Technion, Israel), who worked on this project as a postdoctoral student of Professor Vardy at UC San Diego. The US 9,503,126 Patent on their invention was issued in November 2016. The intellectual property license to Samsung is non-exclusive. Those interested in learning more about potentially licensing this technology for use in 5G wireless communications and beyond can reach Skip Cynar at the UC San Diego Office of Innovation and Commercialization: scynar@ucsd.edu or (858) 822-2672. 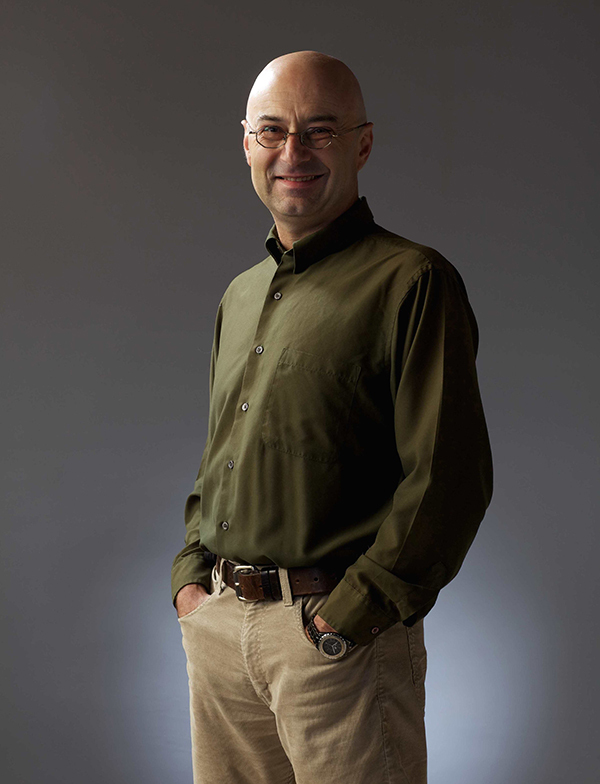 Alexander Vardy, professor at the UC San Diego Jacobs School of Engineering and co-inventor of the licensed technology. Polarization theory and polar coding, pioneered in 2008-09 by Erdal Arikan, gives rise to a new and extremely promising type of error-correcting codes. Error-correcting codes were first conceived by Claude Shannon, known as the "father of the information age.” Shannon proved in 1948 that for every communication channel, there exist codes that guarantee reliable transmission of information at rates up to the capacity of the channel. It took scientists over 60 years to find the codes promised by Shannon: polar codes are the first to provably achieve the Shannon limit for a wide range of channels, with efficient encoding and decoding. However, when polar coding was first discovered, it was met with skepticism by practitioners. Numerous empirical studies observed that when the number of bits in each transmission (known as the codelength) is in the range of hundreds to tens-of-thousands of bits, polar codes perform much worse than other known coding schemes, such as turbo codes or low-density parity-check (LDPC) codes. That's where the UC San Diego researchers came in. Tal and Vardy first developed a much more powerful—but still efficient—decoding algorithm for polar codes. Later, they introduced a subtle, but important, modification of the code structure by precoding the message with a cyclic redundancy check (CRC) code. Both ideas are now protected under the US Patent 9,503,126. Together, these ideas often make it possible to correct more errors than any other coding scheme devised since the time of Shannon, when the code length is on the order of hundreds to a few thousands of bits. The Tal-Vardy invention made polar codes decidedly practical. 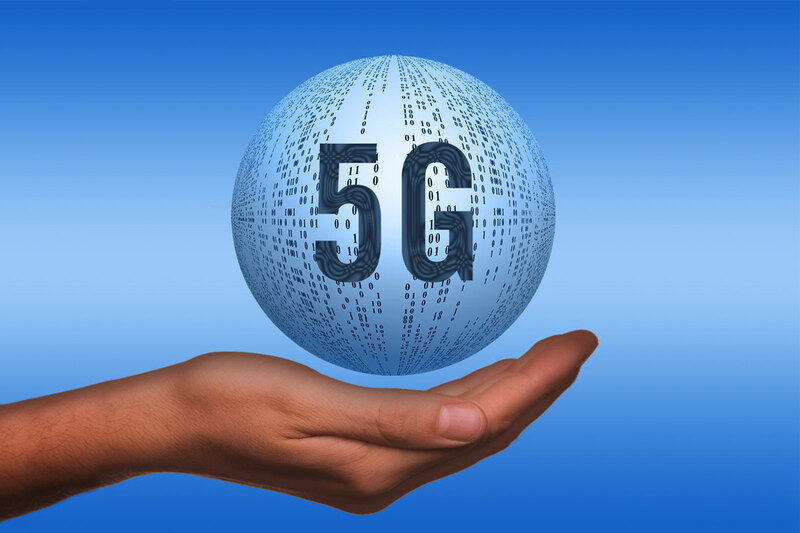 "Our technology is currently being implemented in millions of 5G chipsets, as the industry kicks into high gear with 5G standard-compliant hardware and infrastructure," said Vardy. In addition to their essential role in the 5G wireless standard, polar codes under the decoding algorithm developed by the UC San Diego researchers may have applications in fiber-optic networks, data storage, satellite communications, and more. "This license agreement with Samsung is a great example of how theoretical research advances at UC San Diego are translated into technologies that will get implemented in the real world to solve problems," said Paul Roben, Associate Vice Chancellor for Innovation and Commercialization at UC San Diego. 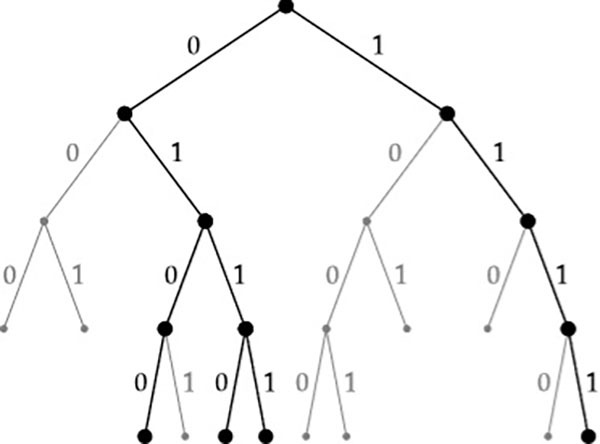 Conceptual illustration of the list-decoding algorithm. The decoding algorithm devised by Tal and Vardy is based on the idea of successive-cancellation list decoding. The term "successive-cancellation" refers to the fact that the decoder decides on the message bits successively one-by-one, then cancels the influence of these bits on the rest of the decoding process. This works well if all such decisions are correct; but what if some of them are in error? That's where list decoding comes in. List decoding makes it possible to pursue several alternative decisions simultaneously, thereby generating, and successively updating, a list of potential messages. Side information, embedded into the code itself via CRC precoding, is then used in the crucial final step of selecting the decoder output from the generated list. Notably, the resulting error-correction performance is orders of magnitude better than any previously known decoder for polar codes. As first demonstrated by Tal and Vardy, polar codes under CRC-aided list-decoding outperform all other known error-correction schemes. "Polar coding in its original form was not competitive with state-of-the-art channel codes. Tal and Vardy were the first to devise methods that improved the performance of polar codes to the point that they have now become part of 5G. Their work was a key step in bringing polar coding from a theoretical idea to a practical coding scheme," said Erdal Arikan, a professor at Bilkent University who invented polar codes in his ground-breaking 2009 paper. "When Arikan's paper was first published, polar codes were regarded as being of mostly theoretical interest. However, I thought otherwise—from the start, my goal was to bring polar coding from theory into practice," said Vardy. Tal and Vardy first published their results in the Proceedings of the 2011 International Symposium on Information Theory in a paper titled "List Decoding of Polar Codes." They have fully implemented their decoding algorithm in a software package called PolarList, which is available from UC San Diego. In 2015, Tal and Vardy published an extended version of their work in the IEEE Transactions on Information Theory. Last year, this paper was honored by the IEEE Communications Society and Information Theory Society Joint Paper Award. Vardy is on the faculty of both the Department of Electrical and Computer Engineering and the Department of Computer Science and Engineering at UC San Diego. He is the inaugural holder of the Jack Keil Wolf Endowed Chair at the Jacobs School of Engineering. "Seeing our work being implemented in real-world systems at scale reaffirms the long-held emphasis on both theory and practice in my research. The tremendous advances in wireless communications, and in information technology in general, have been built on the foundations constructed by theorists," added Vardy. "Polar codes were adopted in the 5G standard only seven years after their discovery, which is remarkably fast for this kind of technology. I am glad that my work at UC San Diego has played a significant role in making this happen," said Ido Tal. 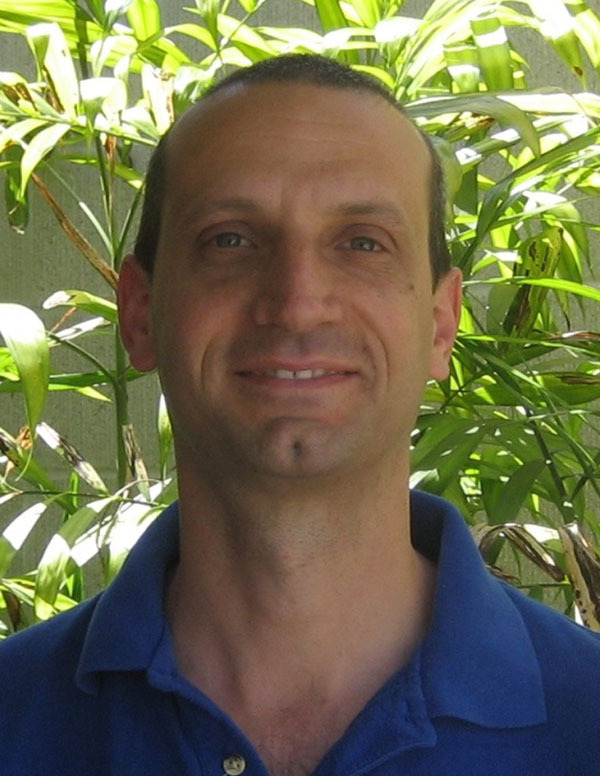 After completing his postdoctoral research at UC San Diego in 2012, Tal went on to join the faculty in the Department of Electrical Engineering at the Technion—Israel Institute of Technology. Ido Tal, co-inventor of the licensed technology. "At the Jacobs School, we put particular emphasis on relevance. This goes for our research, our education programs, and our partnerships with industry. This work of Tal and Vardy in polar coding is a great example of the relevance of Jacobs School research that is paving the way for our real-time digital future," said Albert P. Pisano, Dean of the UC San Diego Jacobs School of Engineering. Polar codes were invented in 2009 by Erdal Arikan. They are the first family of error-correcting codes that achieve the Shannon capacity—which is the ultimate limit on the rate of reliable transmission of information—for a wide range of communication channels with efficient encoding and decoding. Encoders and decoders for polar codes have been widely implemented in high-speed and low-power VLSI. In 2016, the international standards organization 3GPP, which unites the worldwide wireless communications industry, decided to adopt polar codes for coding the control channels and the physical broadcast channels in the enhanced mobile broadband (eMBB) mode of the 5G standard. In June this year, the standalone 5G New Radio (Release 15) specifications were officially approved, with polar codes under CRC-aided list decoding used to code the control channels. Dozens of companies in the wireless communications industry are describing this approval as “the final sprint towards 5G commercialization." "There is so much potential for polar codes. We've made great progress, but we are not done," said Vardy. "We are hard at work on numerous additional advances in polar coding."